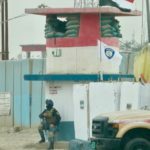 I’ve journeyed through Iraq over this past week- another country pockmarked by lengthy wars and still living with a heavy security presence. 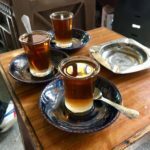 The country has an incredible ancient history that outshines any of its current troubles and a soft underbelly of proud and welcoming people that were happy to see us travelling through their land. 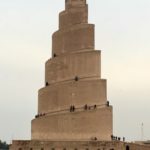 The Iraq Museum in Baghdad is once again the guardian and repository for the region’s ancient treasures and heritage after many of the artefacts were looted during the American invasion in 2003. 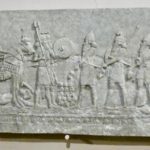 Beautifully sculpted stone relief carvings from the facades of temples and royal palaces bring to life the lives of Assyrian kings and princesses from over 3000 years ago along with treasure rooms of gold and ivory art and jewels. 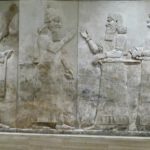 Carved tablets of cuneiform script and algebra show the beginnings of mathematics in the area more than 2000 years ago. 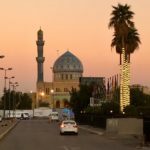 Starting from Baghdad I travelled north with a local guide to the town of Samarra. These areas were occupied by ISIL until recently and many villages are still trying to rebuild out of the rubble and destruction. 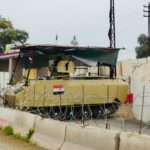 The roads are lined with bunkers, watch towers, occasional tanks and frequent checkpoints. 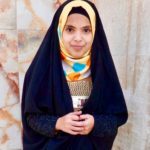 The situation is further complicated by the presence of militia groups (private armies funded by powerful Shia Muslim clerics and ..ultimately also Iran) who claim to be the protectors of a predominantly Sunni Muslim region. 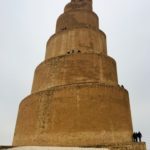 The reward for traveling through this troubled area was to see the unique spiral brick minaret of Samarra built in the 9th century which corkscrews 52m into the sky. Mainly though the road has taken me south of Baghdad- all the way to Basra upstream from the Arabian Gulf. 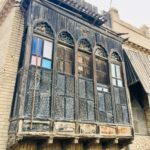 There are glimpses of once elegant Arabic houses from the 16th century decorated with mashrabiya (wood latticework) balconies now covered in dust and left to decay. 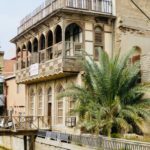 The city of Basra was once called the Venice of the East for its elegant houses set among canals, arched walkway bridges and narrow streets. 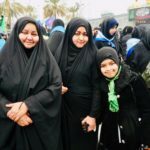 We were privileged to visit the holy cities of Najaf and Karbala and to be allowed inside the mosques and shrines to see the tombs of venerated martyrs (some of the holiest sites for Shia Muslims outside of Mecca). 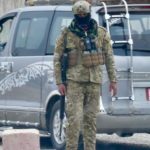 Along with the privilege came the requirement to wrestle with a head to toe heavy black abbaya in order to ‘cover up appropriately’. 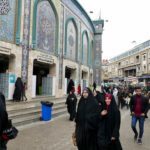 It’s almost unheard of for non-Muslim women to be permitted into the major mosques around the Middle East so it seemed a small price to pay. 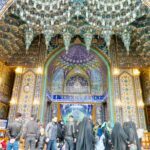 The shrines are exquisitely decorated with silver doors, crystal ceilings, blue and green glazed tile work and glitter under massive chandeliers. They must truly be wondrous sights in the eyes of pilgrims who arrive here from all over the world to pray. 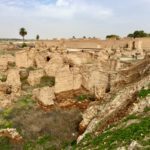 One of the true highlights of this trip has been to visit the ruins of ancient Babylon. 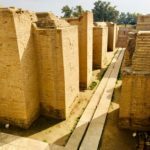 A bit of imagination is required to picture the once magnificent Hanging Gardens of Babylon and the Tower of Babel that were legendary wonders of the ancient world. 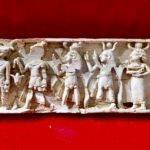 There are still, however, perfectly preserved corridors of an ancient Processional avenue with inlaid brick reliefs of fantastical dragon griffin beasts and garlanded bulls that line the walls. 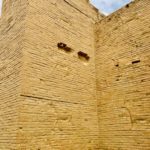 Nebuchadnezzar’s palace from 3000 years ago has been reconstructed and I walked through the throne room where Alexander the Great died in the 3rd century BC. 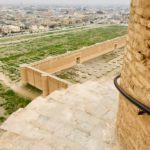 Yet another piece in the Alexander the Great jigsaw puzzle which has sent me all over the Middle East and Central Asia following his Empire of old. 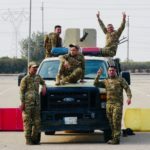 It’s been over 15 years since the downfall of Iraqi dictator Saddam Hussain, but still the country is in decay and conflict and retains an identity of being at war. 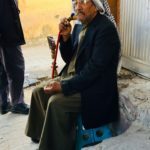 I was genuinely surprised by the warmth of the people and the ever consistent hospitality to travellers that I’ve experienced across the Middle East. 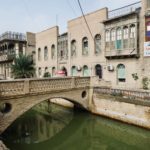 It’s not travel for the faint of heart but it’s been a privilege to travel through this region and shine a warm light on the treasures of Iraq – the modern version of Mesopotamia. 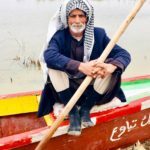 This entry was posted in Iraq and tagged Baghdad, Basra, Iraq. Bookmark the permalink. enjoyed reading about your latest adventure. Photos are amazing as usual. Tony said to tell you to take some “selfies”.